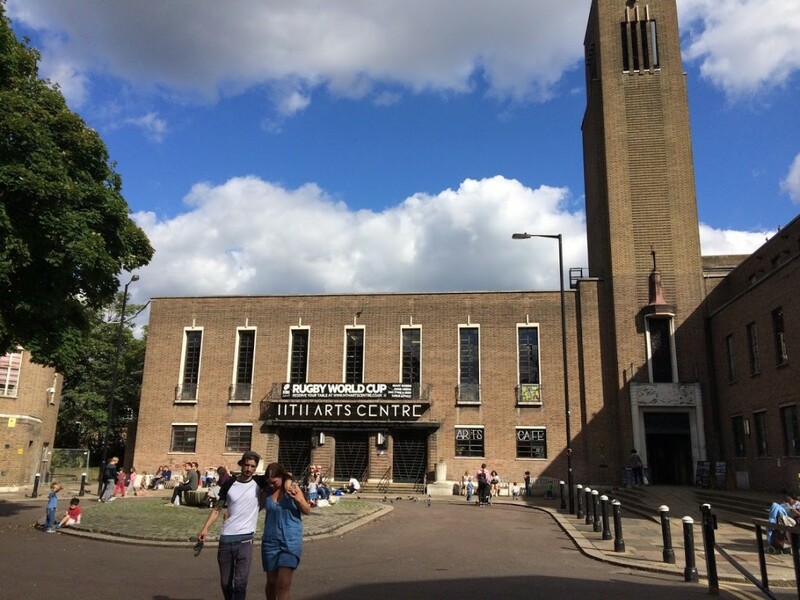 Last week we blogged about a letter the Forum has sent to Haringey Council about Hornsey Town Hall and the disposal process. This week the square and the building are in use by the wonderful and hugely popular Crouch End Festival, reminding us all what potential the Town Hall has and what a resource this is for Crouch End – and how animated the spaces are with markets, music, performance, food, and thousands of people. But as we met and spoke to local people at the festival, one thing did come across loud and clear: Crouch End would like a better idea of what’s happening. One day someone will write the full account. Fear not, this isn’t it. But we did think that a look at the what, when, where, who and how, would help . . . Since November 2014, the building has been let for meanwhile use and managed by three people as an arts centre and small business space (106 micro businesses at the last count) – and successfully too, when they opened up spaces closed for decades people were genuinely amazed at the potential. 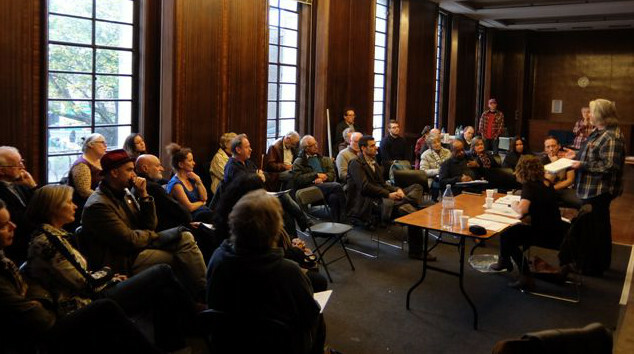 However, the current situation won’t last and as most of you will know Crouch End is only a few short months away from new owners at Hornsey Town Hall – after languishing and decaying for far too long, the building, public square, the annexes and surrounding land will be disposed of by Haringey to the private sector. Bids may include hotels, colleges, offices, or retail (we don’t know) – and certainly a large section earmarked for residential development. The tendering process is alas a secret one, with procurement regulations ruling out any public transparency, details of proposals known only to the bidders, the council, and Historic England, but not the community. Which is a shame – as we’re sure Crouch End would have liked to have had the opportunity to see the various projects in open competition, and decide their own favourites. 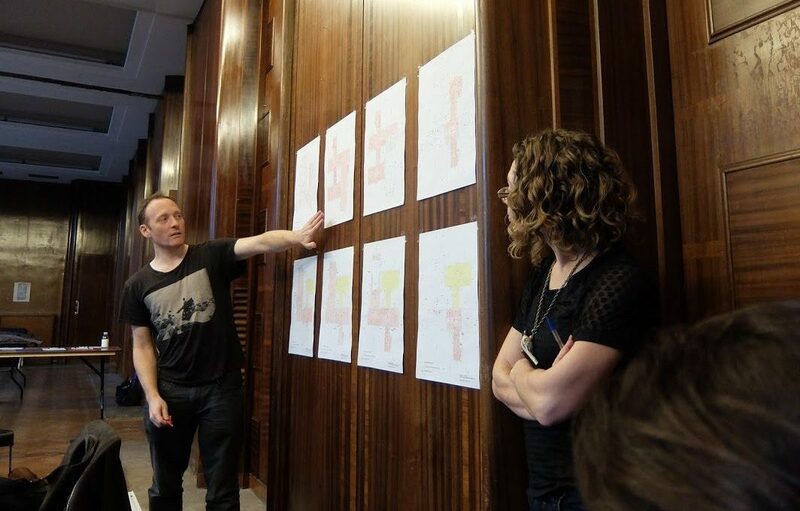 As things stand the likely first opportunity for people to see project details is after the winner is selected and contracts have been signed – perhaps in an exhibition or consultation of some kind in the new year. A number of parties are involved, not least Haringey themselves who lay out some of the case for disposal here, the HTH Appreciation Society who have been agitating and lobbying for greater community say, and the actual estate agent’s advert aimed at attracting developers. We are aware of local disquiet about the green’s inclusion in the sale too. 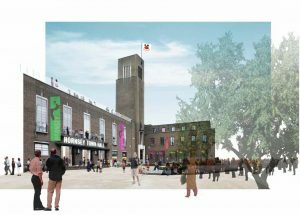 So, when the dust has settled will we see, to quote Haringey themselves: “an interesting, lively focal point for Crouch End… a viable and vibrant mix of community, cultural, arts, leisure, business and residential uses”? 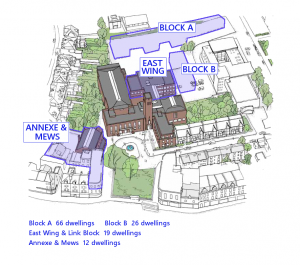 The site contains the grade II* listed Town Hall building, the public square and green, the annexes, the mews (where BurgerN8 currently is), the car park and clinic building round the back, and the Hornsey Library car park. This paper contains a resume of the full timetable of the disposal process as understood from documents released by Haringey council. The process is now at stage 3 on page 2, with Haringey awaiting final tenders. We expect final tenders to be submitted by July 22nd, and a preferred bidder to be selected in September.